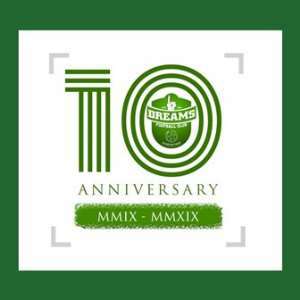 The leadership of Dreams FC will on Monday launch the 10th anniversary of the club at the Conference Hall of the Nurses Hostel at Shiashi in Accra at 5 pm prompt. The launch, which is expected to bring together the crème-de-la crème of the Ghanaian football fraternity will witness management outdoor a series of activities lined-up for the year-long celebration. The night which is expected to be colourful will offer guests the opportunity to witness the screening of a documentary that tells the history of the club since its inception some 10-years ago. There will also be goodwill messages from the GFA, Ghana League Clubs Association (GHALCA) as well as old players of the club abroad. Per the programme lined up, guests are supposed to arrive by 5 pm to partake in a cocktail ahead of the main event. Hiplife musician Jupiter, who also composed the Dreams FC anthem, is billed to perform at the event which promises to be exciting. The Dawu-based club, established in 2009 has Kurt E S Okraku as the Executive Chairman, Mohammed Jiji Alifoe as President and Prince Abdul Hamid (Vice President), Till date, these three personalities have remained the sole shareholders of the club. The club was incorporated and recognised by the Ghana Football Association to start operations in the same year of its establishment and they played for the first time in the third-tier league. Dreams FC secured promotion to the second-tier league during the 2013/2014 season after which they were promoted to the premiership during the 2015/2016 season.